Albuquerque, NM — The Albuquerque Pain Capable Unborn Child Protection Ordinance lost tonight by 10.5% of the vote. The final tally was 44.74-55.26%. “Pro-life supporters may have suffered a political loss, but we are far from defeated. 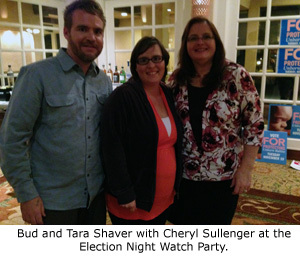 We’ll be back,” said Cheryl Sullenger, Senior Policy Advisor, who assisted the ABQ Voters Against Late Term Abortion Ban campaign and was in Albuquerque for the vote. “It is clear that the people are uncomfortable with late-term abortions and would like to see them end. We learned a lot from this campaign, and we look forward to another try that will better reflect the true feeling of the voters on this subject. The opposition to the ordinance, which would have been the first-ever municipal ballot measure to ban abortions after 20 weeks when babies are known to feel pain, outspent the pro-life campaigns by a margin of 4 to 1. In addition, Organizing for Action, which was heavily involved in Albuquerque, is essentially President Obama’s presidential campaign, which continues to advance a radical leftist agenda. Their experience helped turn out “against” votes in early voting that made the difference in the outcome of the race. But the daring pro-life campaign to protect unborn babies after twenty weeks from death from barbaric and dangerous abortion practices succeeded in focusing the attention of the world on the matter of late-term abortions and created a template for activists in other communities to use to affect change in abortion laws in their communities, shifting their focus away from politicians in Washington, D.C. who are reticent to engage in legislation on abortion.